Despite what it sounds like on the campaign trail, Americans of all religious backgrounds are opposed to curtailing freedoms for lesbian, gay, bisexual and transgender people. While Marco Rubio states that “…faith-based people…are being compelled to sin by government in their business conduct” and Ted Cruz is calling 2016 the “religious liberty election,” statistics show a more complicated relationship between American religion and LGBT issues. A majority of Americans – across the religious spectrum – think that people should not be fired from a job, denied housing or evicted from their home simply because they are gay, lesbian, bisexual or transgender. While more than 50% of white evangelical Protestants and Mormons do support Religious Refusal bills, every other American religious group – including Catholics, Jehovah’s Witnesses, and Muslims – oppose them. Moreover, majorities in every single American religious group – including white evangelical Protestants and Mormons – would support legislation protecting LGBT individuals from discrimination in jobs, public accommodations, and housing. 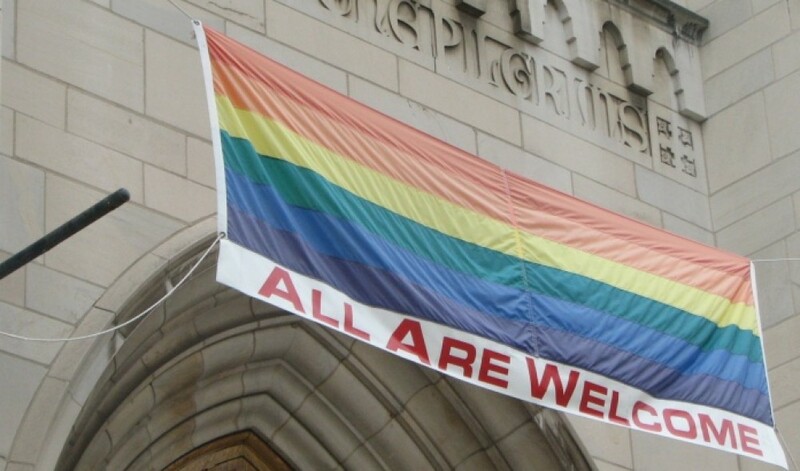 This entry was posted in opinion, Pastoral Ministry, Sexuality and Gender and tagged lgbt inclusion in church by Terence. Bookmark the permalink.